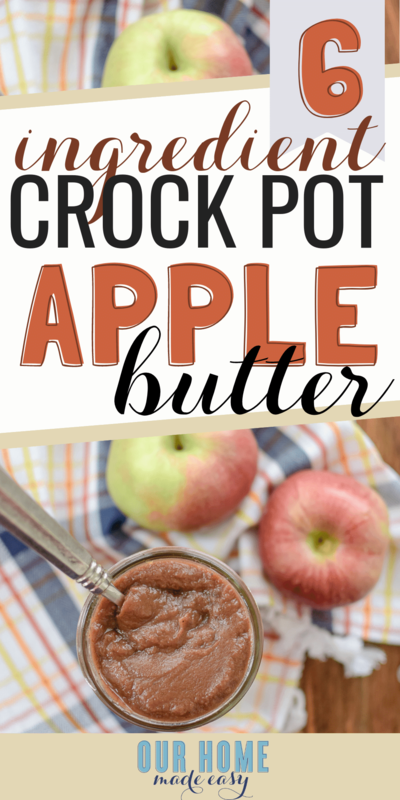 Make this easy crock pot apple butter with just a few ingredients! 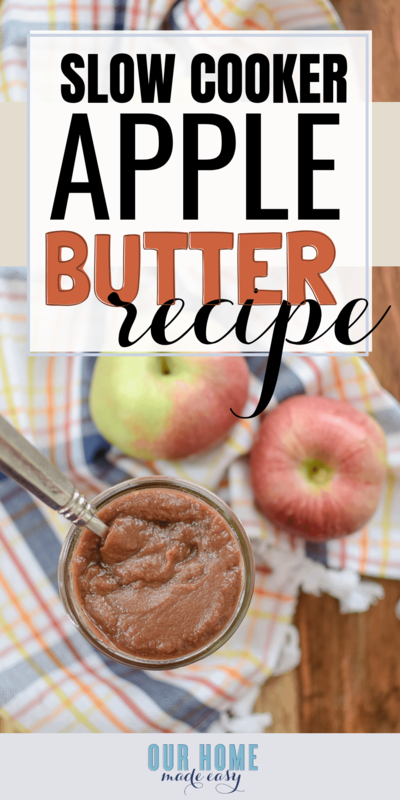 Use up any apples for this yummy recipe. 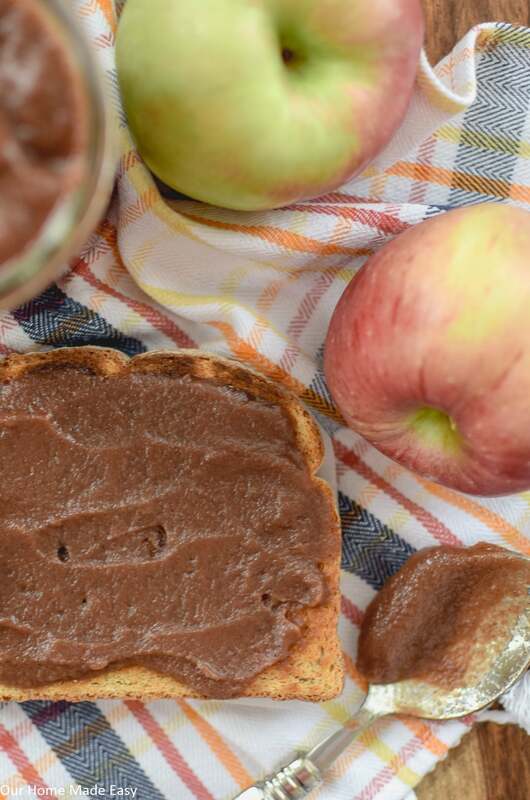 You’ll never want to buy store-bought apple butter again once you taste how yummy homemade apple butter is & how easy it is to make! Anyone have a recipe that they never thought they’d ever make? Like ever? For me, it’s always been apple butter. 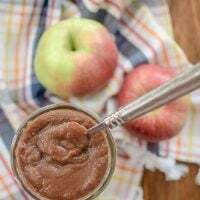 My only memories of apple butter were walking down the street in rural Ohio to a local church near our elementary school. 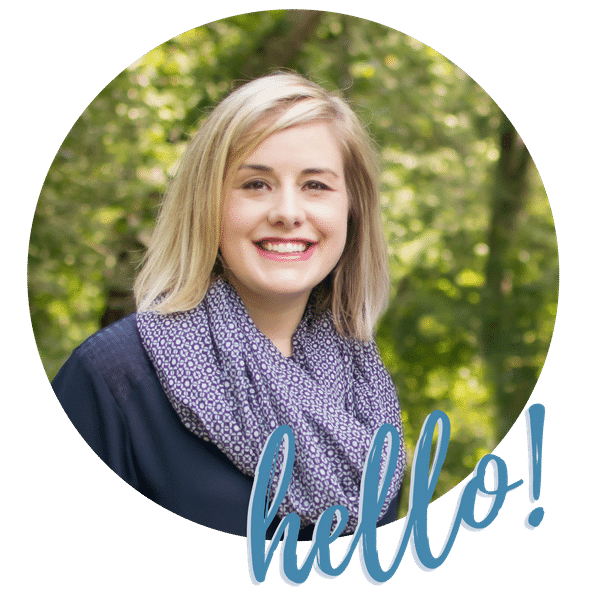 We’d watch the church members stir the cauldrons (that’s what they looked like as a 3rd grader), eat a sample of the apple butter, and then walk back to school. 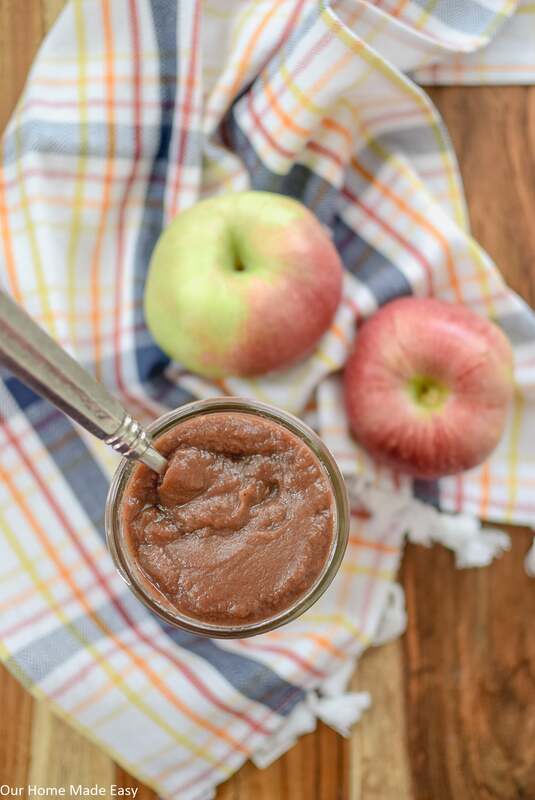 Fast forward almost 30 years, and here I am excited to share a much simpler recipe for easy crock pot apple butter. No copper cauldrons or stirring here. Just dump & stir occasionally. 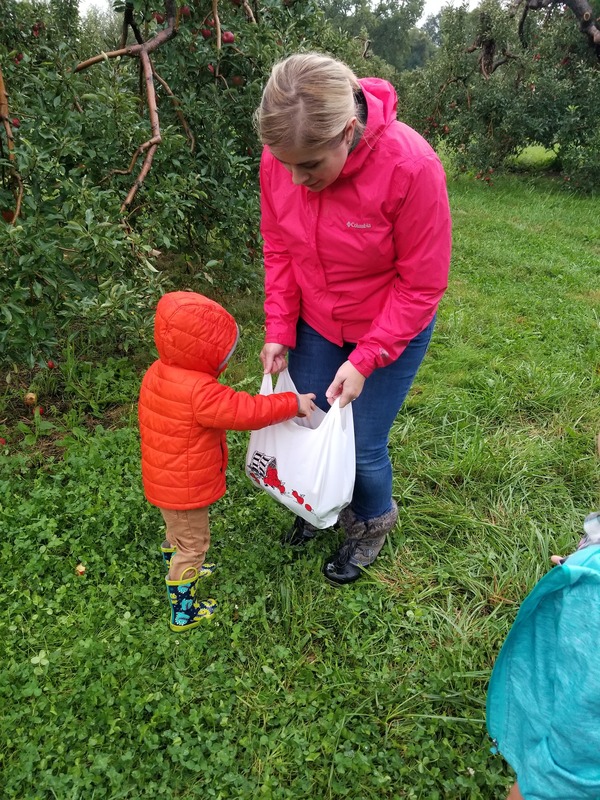 This week we joined our local college alumni association for apple picking in Toledo. It’s an event we’ve regularly attended over the past 4 years. 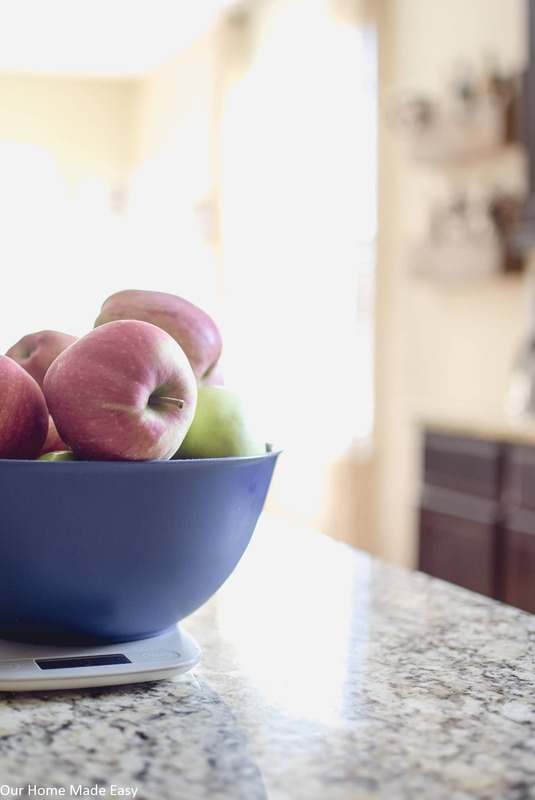 Not only does it get us out of the house on a Monday night, but we always look forward to enjoying all the apple recipes we can handle. And the cider donuts & fresh apple cider are hard to pass up. I look forward to homemade apple pie. For Jordan, he wants all the apple butter I can make. 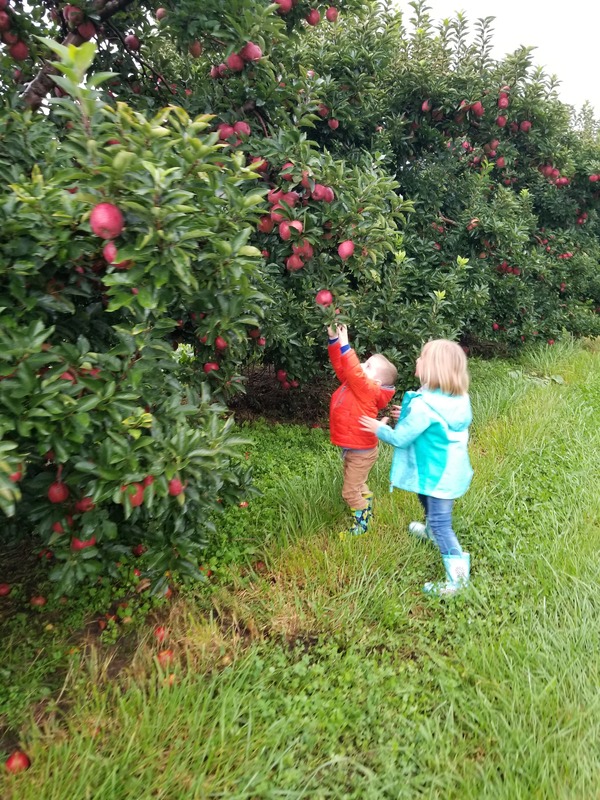 Luckily, we have plenty of apples to make both– and lots of it! 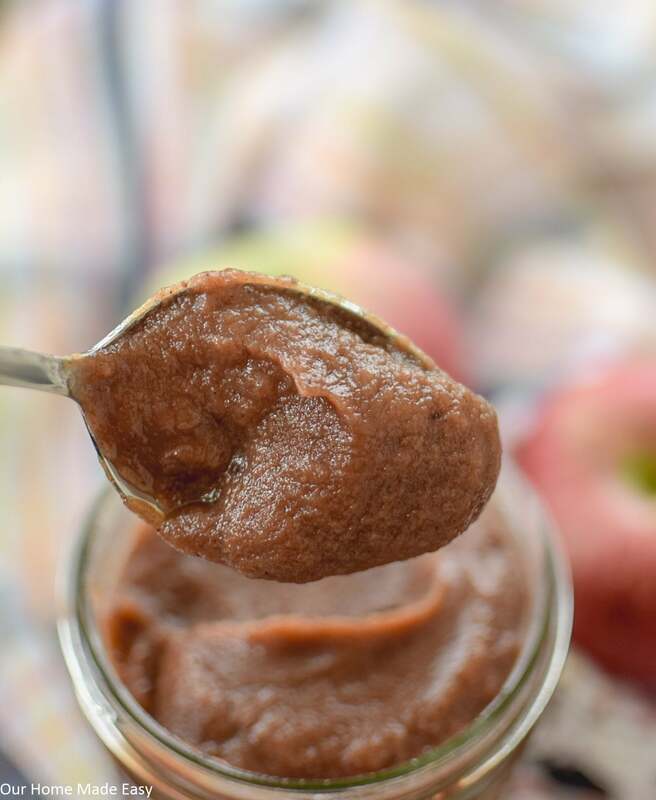 If you see apples on sale this week at the grocery store, or if you happen upon an apple orchard #bucketlist, you need to grab some apples and make this apple butter recipe! It’s perfect for English muffins in the morning or a thick piece of toast. 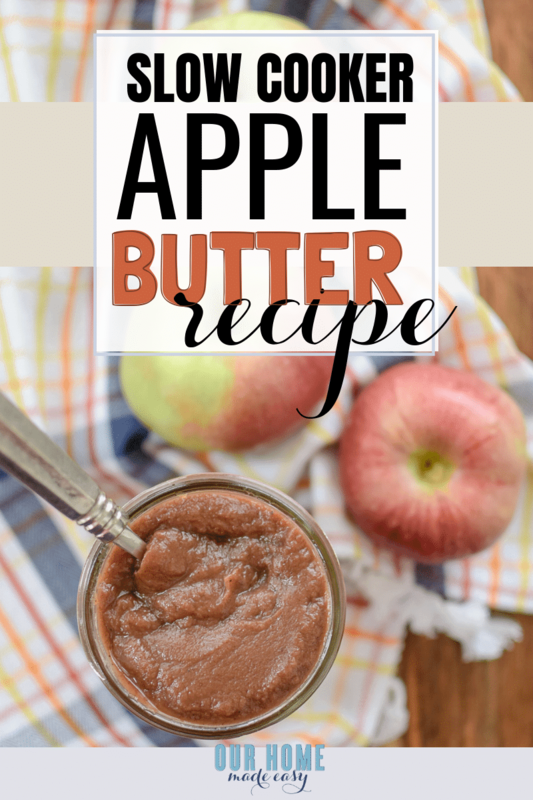 Last year, I found this awesome apple butter recipe. It’s so tasty, and I couldn’t help but make more than the recipe orginally called for and added a bit more sweetness. 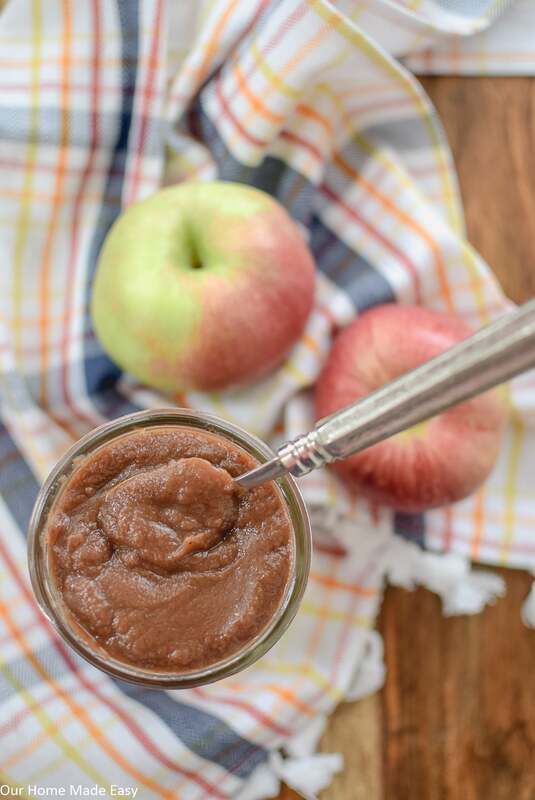 Once the apple butter is finished cooking, you’ll use a hand blender to smooth the lumps while it’s inside the slow cooker. It’s a true one pot recipe. 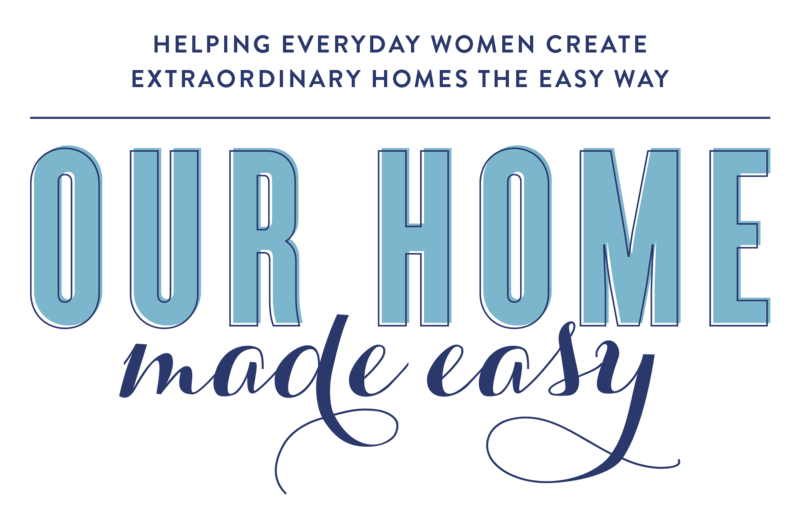 Here is to trying new recipes that you never thought you’d ever make before! Sometimes the oldies are easier than you think. Plan for 1 pint of apple butter per 2 pounds of apples! 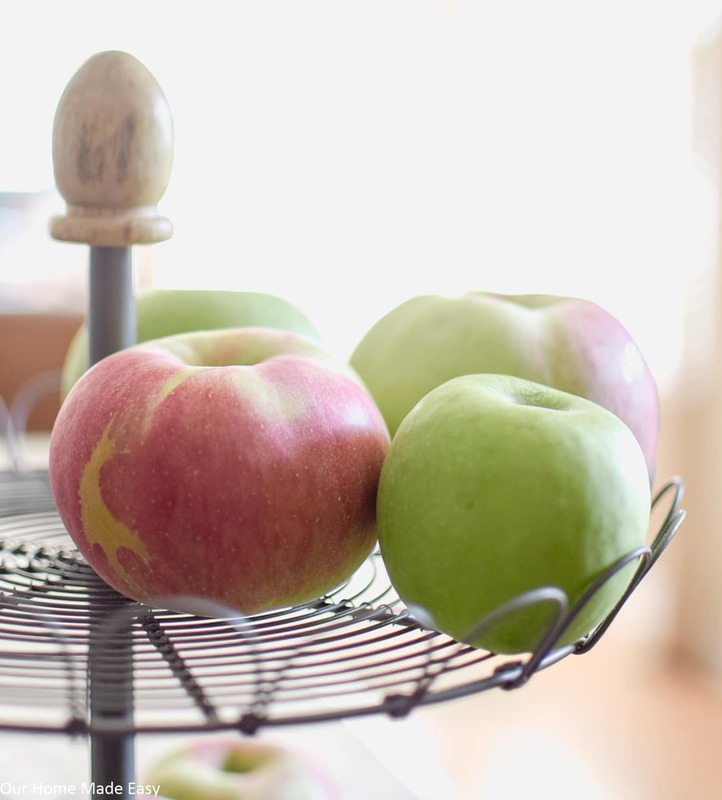 Use an apple corer to maximize your apples. 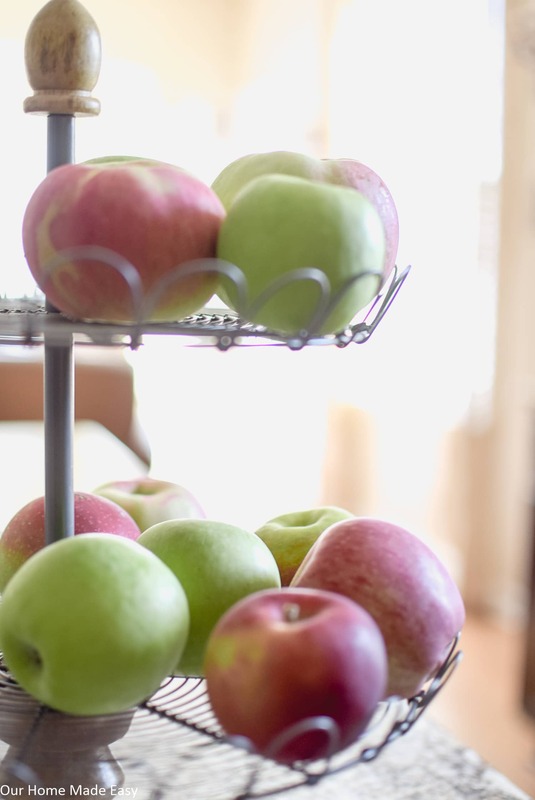 Peel, core, and cut apples into large pieces. Place in slow cooker. In a small bowl, mix together Splenda, cinnamon, ground cloves, salt, & ground nutmeg. Pour the sugar mixture over the apples. Cook on high for 1 hour. Stir. Cook on low for approximately 12 hours, or until completely cooked down. Using an immersion blender, mix in slow cooker until smooth. 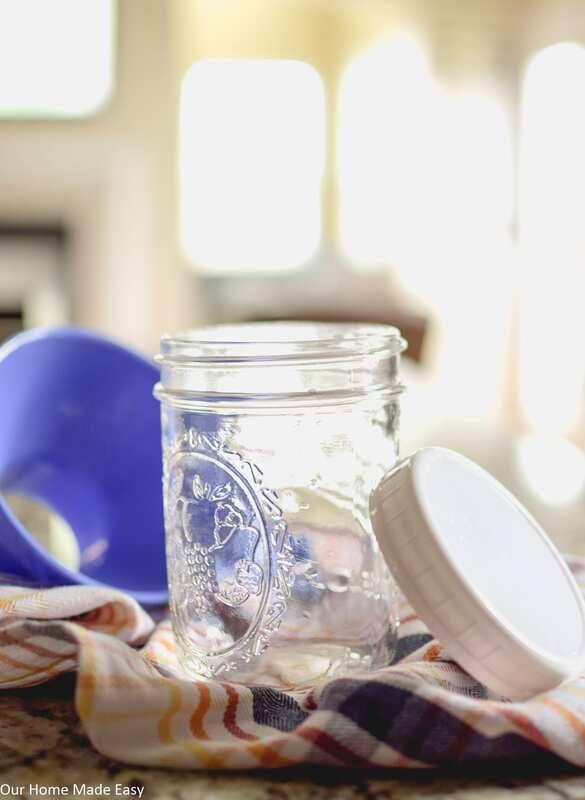 Get your free pantry staples cheat sheet!